i myself, had quite a bit of expectations for this anime, but turned out to be a let down. but canaan, great series. where can i find sasameki koto chapter 29 raw? oh, and the crab was really really well done, no? Maria Holic was epic XDDD this seems good(art and maybe story) but im not going to watch this for now. 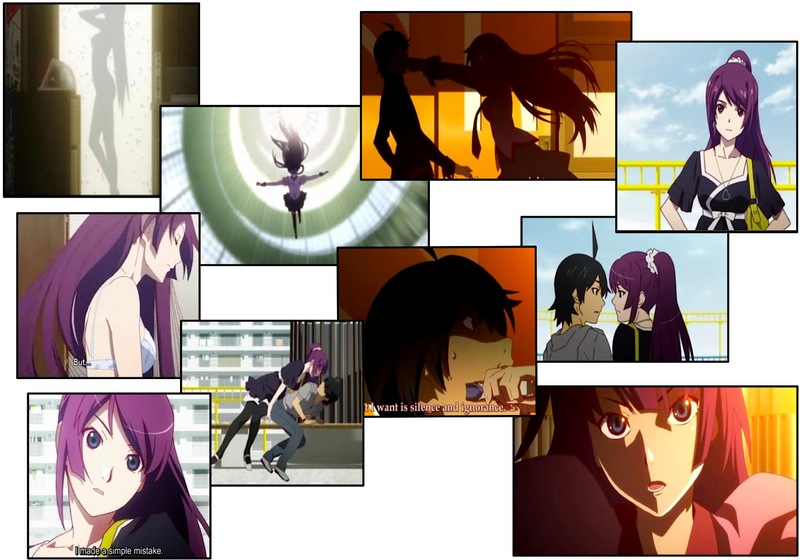 For me, SHAFT animation + Mushishi overtones + Hitagi = win! And the fact that the OP and ED animation changes with each episode. Aww….I really enjoy this anime. I’m studying Japanese again and it’s interesting to learn a bit about certain ghost stories. The art is amazing. I love it! The simplicity of the art makes it appear more complex in a way. The surrealism reminds me of Paprika. Guess I enjoy art that strays from the norm and psychological thrillers. I also wish my name was “Araragi Koyomi”. Every time Senjougahara says “Araragi-kun” my heart swells! Kyaaa! hahahahaha I must admit that she is ONE very good reason to watch it!! « [anime] Aoi Hana Ep 4 ~ we got to see the KISS!! !